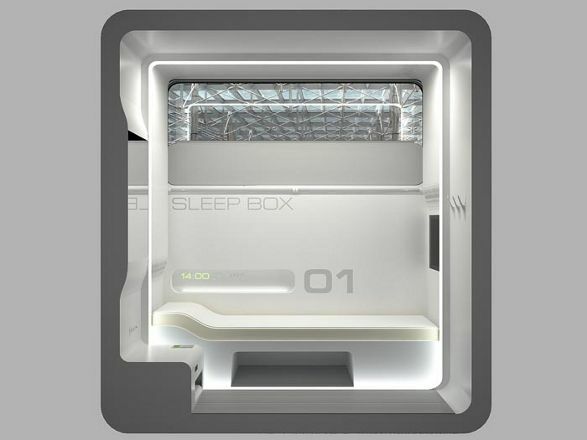 Have you heard about SLEEPBOX designed by Russian architects from Arch Group? If not – this short introduction is for you. 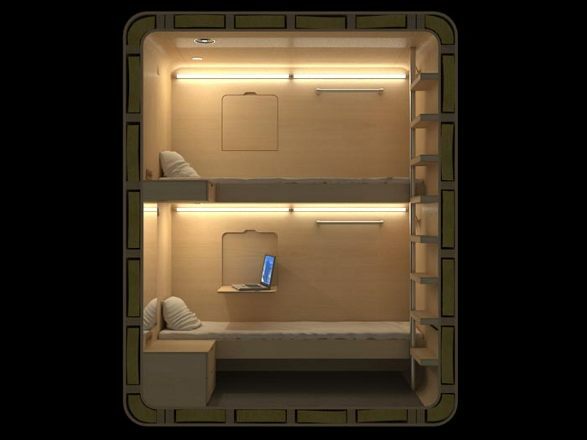 Two years ago Alexey Goryainov and Mikhail Krymov developed tiny (3,75 sqm), mobile device to provide exhausted travelers with a private space for rest and quiet sleep at the airports or a railroad stations. 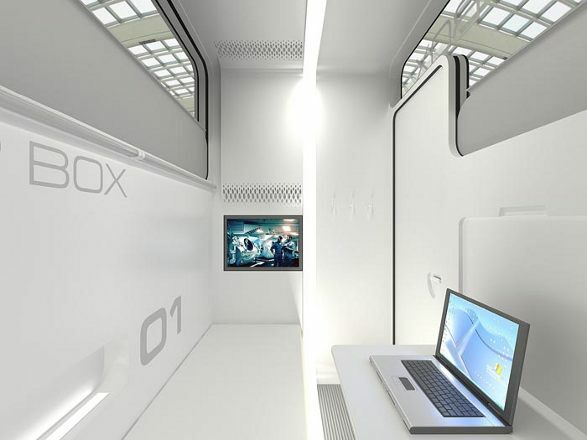 The cube, equipped with soft and flexible bed and a place for luggage, had also a ventilation system, sound alerts, built-in LCD TV, WiFi, sockets for a laptop and charging phones. 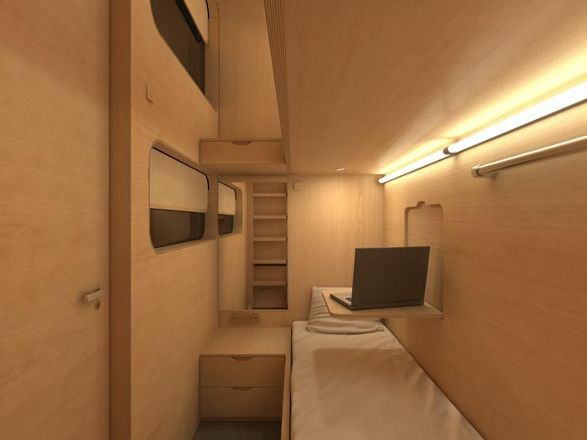 They have also prepared SLEEPBOX hostel edition, which provides a minimum of functions and low costs. 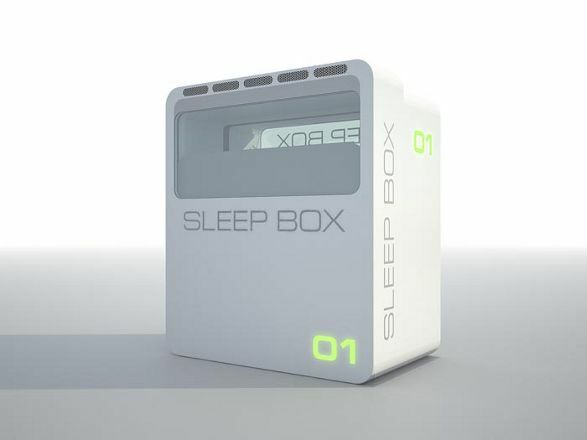 This version of SLEEPBOX is equipped with a bunk bed, sockets, LED reading lamps and electric-drive blinds for privacy. 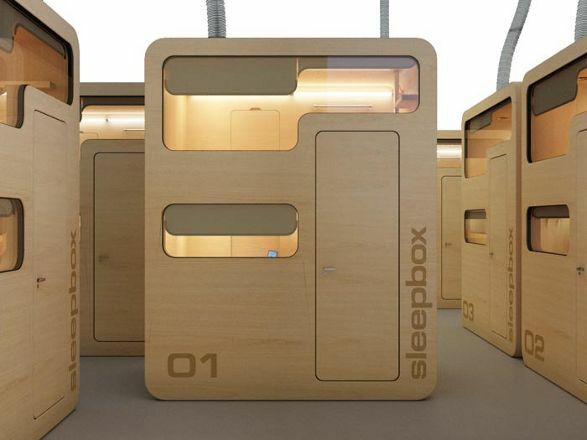 In mid-August 2011, the first SLEEPBOX was installed at the Sheremetyevo International Airport, Moscow, Russia. This is the hostel version of SLEEPBOX made of moisture-resistant MDF with a natural ash-tree veneer. It can be rented for between 30 minutes and several hours. 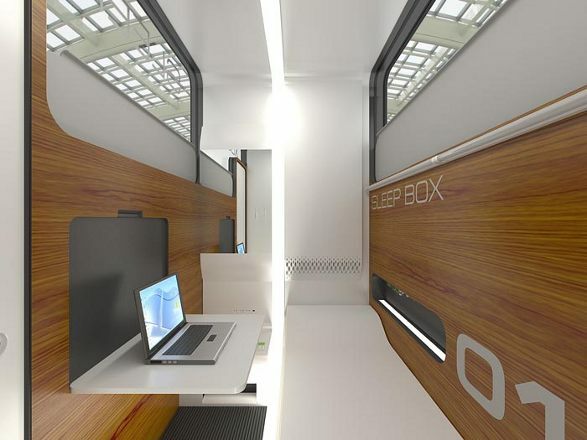 It has already attracted a great deal of interest from passengers and big companies, so it cannot be excluded that SLEEPBOX would bring a new standard of traveling in the upcoming future. Maybe not only of traveling. 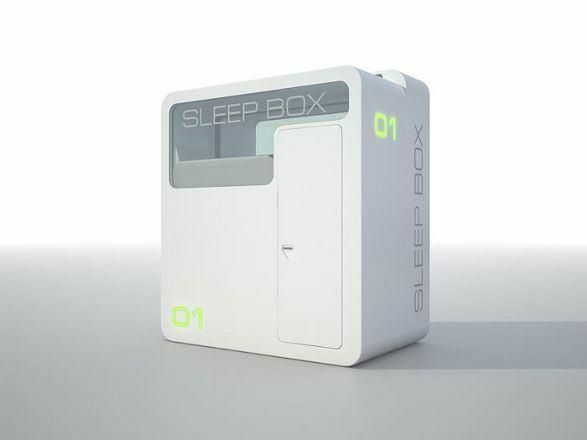 Although SLEEPBOX was primarily intended to enable people to rest safe and peacefully while waiting the plain or train, it can be easily completed with various additional functions and used for internal purposes of organizations and companies. Mini houses. Call of nature. Mini houses. Eastern and western approach. Mini houses. For a single and for a family. Mini houses. From micro to midi. Mini houses. Loft in a Cube. Mini houses. Scandinavian style.